Award-winning author Lisa Yee brings mystery, thrills, and laughs to this groundbreaking series that follows DC Comics’ most iconic female Super Heroes and Super-Villains. 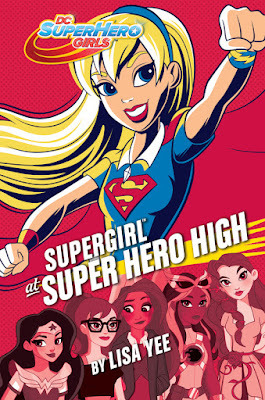 Move over Batman™ and Superman™—the DC Super Hero Girls are ready to save the day and have fun doing it! 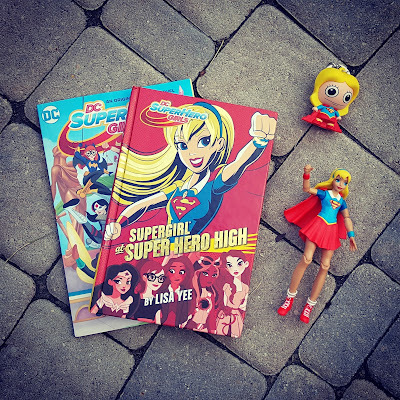 I was excited to read Supergirl at Super Hero High because my daughter is a big supers fan. She has actually been watching the Super Hero High cartoon and collects the dolls. I loved this book and thought that it's definitely great for the higher elementary levels. I'm glad to have these books for my daugher to read when she gets a little older. I loved the book not only for the superheros but because the characters are finding themselves. It’s great how the original origin story is kept until the point when it has to veer off for the characters to go to Super Hero High. In the case of Supergirl she shows up from Krypton later than she was supposed to and instead of guiding Superman, he’s already grown up and in college. Supergirl has been frozen in time so she is still dealing with the loss of her parents like it just happened. Not only that, she is an alien in a new place (many people feel that way in high school). 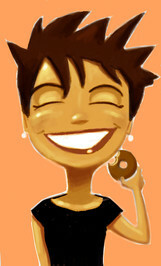 She deals with lack of self-confidence issues and has difficulty believing in herself. She wants to go home but can’t. I like that she finds a friend in Barbara (Bat Girl) and they help eachother out. I also loved the story that is happening in the background of Supergirl’s self-discovery. It's a fun mystery and they have to figure out how to stop a villian from taking over the world. I really like these books and I’m so excited for Bat Girl’s installment. The tech whiz becomes a superhero. I love that it’s something that my daughter can feel like it's her own. 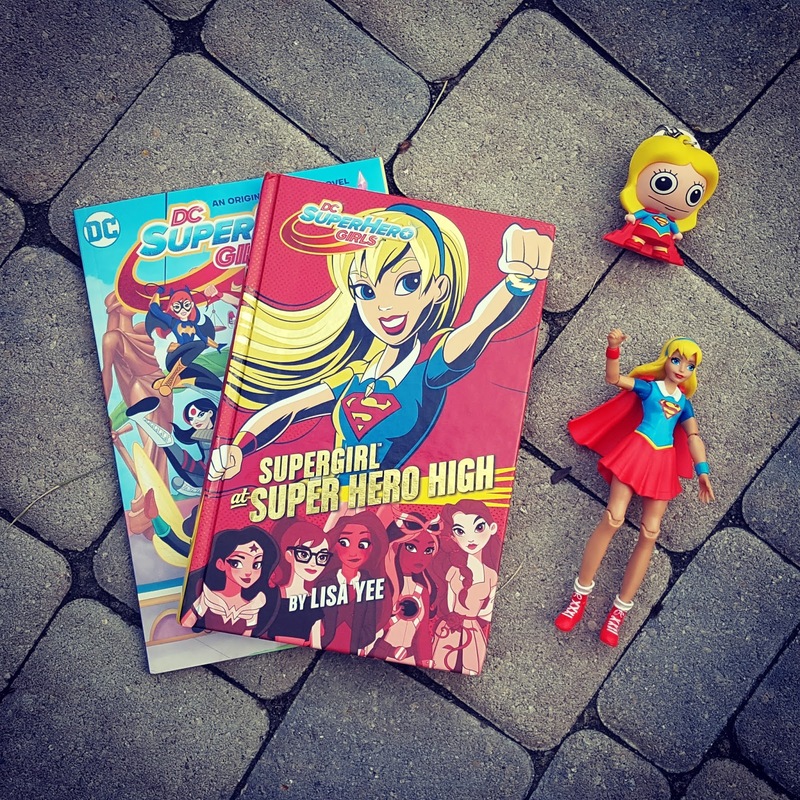 She's always loved Superheros but now she feels like Superhero High is something just for her. It's very exciting!